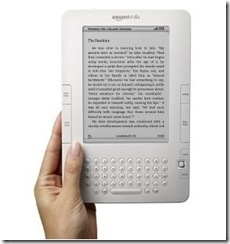 Amazon has been seeing some great success in the e-book reader market with their Kindle and the Kindle 2 wireless eBook reading device. Despite the announcements by various retailers including Sony, Barnes & Nobles, Kindle enjoys a sizeable lead in this area. You can ebooks on Amazon from a WiFi enabled Kindle and download ebooks seamlessly so you can read anywhere you had your Kindle at. 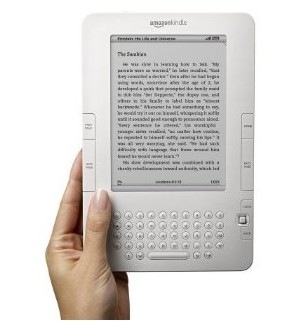 Amazon then released the Amazon Kindle iPhone app that lets you to continue reading the book you were reading on your Kindle last night to pick up and continue reading on your iPhone in your morning commute to work. Now, Amazon Kindle App for Windows lets you continue reading the book you left off in any computer with this Kindle App for Windows. With WhisperSync, you can access your library of Kindle books, notes, bookmarks, etc. And you don’t need your Kindle with you. It even automatically synchronizes your last read page and keeps annotations between devices. A Mac version is supposedly in the making. Amazon has been extending their eBook platform like no one else and this is another nice addition Kindle users will appreciate. Personally, I hardly find time to read books physical or electronic. But, I love listening to podcasts and lately been trying out Audible books with their free trial. I am able to take so much in more than ever without sitting down with a book while I am working, walking or exercising. What is your favorite method of getting information? Reading books, ebooks or podcasts/audio books? Looking for more product suggestions from me? I add my favorite electronics, camera gear, books, etc in our own ShanKrila Amazon Store here.